Kapost gives you the ability to preview and edit your primary Facebook posts right inside your Kapost instance. As a note, this feature only works on Facebook primary posts, which are posts created as Facebook posts, not as blog posts distributed to Facebook via the distribution feature at the bottom of the content page. 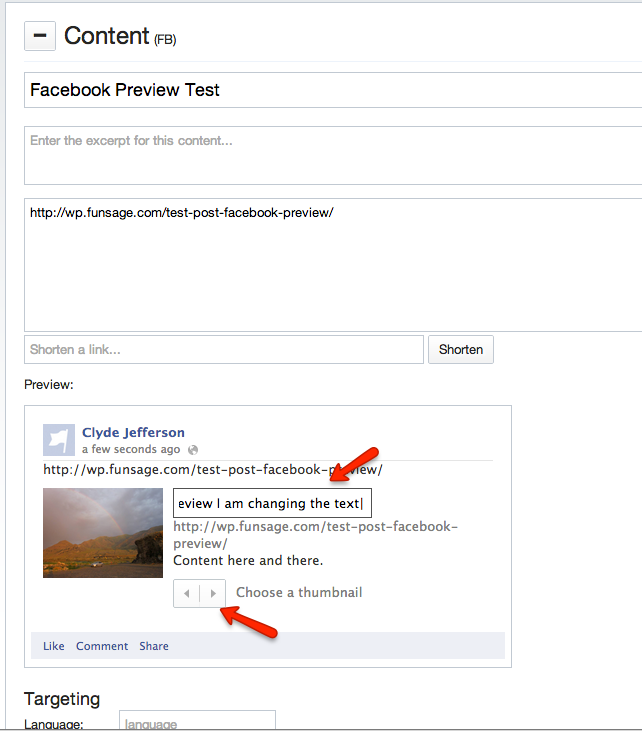 View and edit your Facebook preview, go into the "preview" box below your Facebook content. Click on the words you wish to change, and a text box will appear allowing you to do so. If you want to change the image featured on your post, simply scroll through the available pictures using the arrows at the bottom. The preview appears automatically on a Facebook Primary Post, and will populate when you add a URL to the blog or site that you wish to promote.